Hi Everyone, Wow here we are at week 32 with Night of Navy. I do like blue and I found it quite easy to come up with a card in this colour. 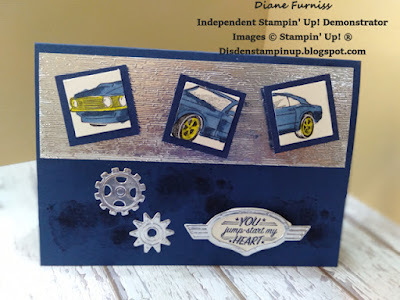 My card this week uses the Geared Up Garage bundle that can be found in the 2019 Occasions Catalogue. I'm really loving this set. I used the Night of Navy as my base card and mat's for my car images. After stamping out the car image twice I coloured them using the Blender pens starting with the light colour and using the dark to add the highlights to the car. I then cut them into 1 inch squares and 1 1/4 inch mats. I run my Foil sheet through the Big Shot using the Subtle Dynamic Embossing Folder. I glued this to the front of the card and using dimensionals on the car images added these on top of the foiled section. 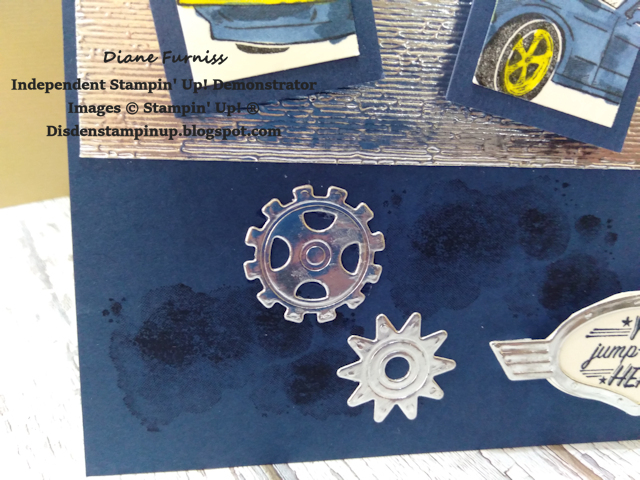 I stamped tone on tone of the oil smudge stamp onto the front of the card and on the insert. 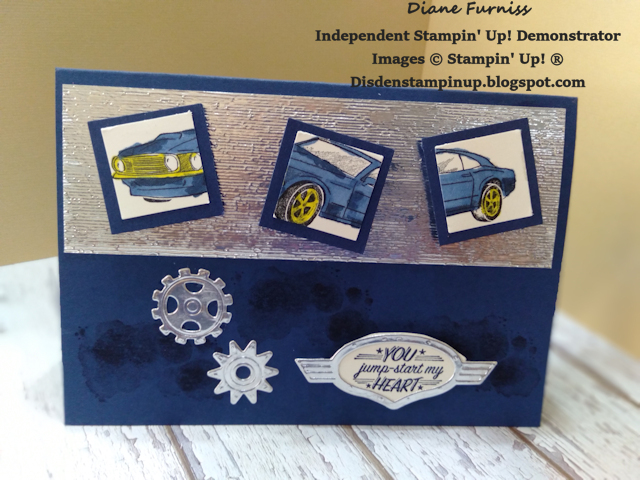 I also stamped the sentiment for the front of the card onto white card and glued it to the back of the foil car emblem and trimmed to fit I then added a couple of cogs to finish off the front of the card. 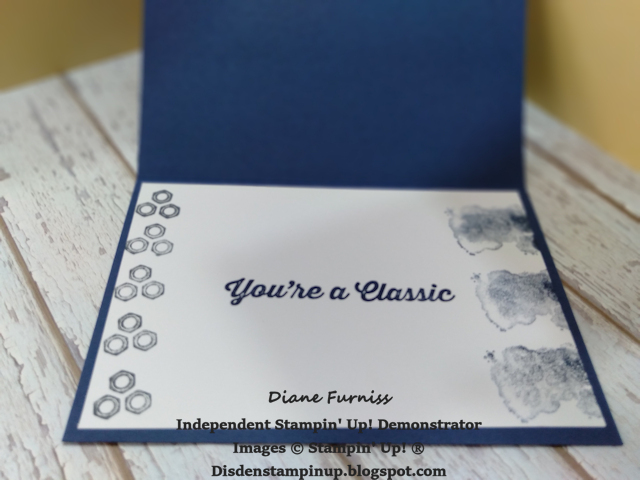 After stamping the smudges on the right-hand side of the card I stamped You're a Classic and the nut as well using Night of Navy ink. I think this would make a lovely Valentines Card for that special man in your life, as I think the works on the front and insert are just perfect for that. If you would like to purchase any or all of the items used in this project please give me a call, email or PM me so that I can help you. 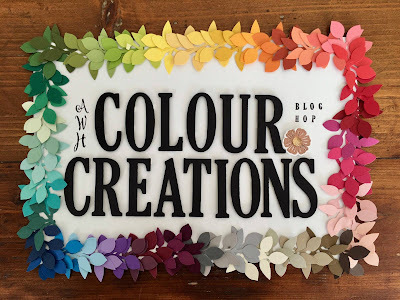 Great idea to stamp the card in segments! Always good to see great masculine cards. Thanks for sharing Diane. Such a fabulous card, Dianne! How funny that you're the only one who did a masculine card, even though I would consider navy a 'male' colour! Diane, your card is fantastic! I absolutely love everything about it - great card, great job! Di, I love the way you've cut the car image into 1" squares and spaced them out, very neat idea! 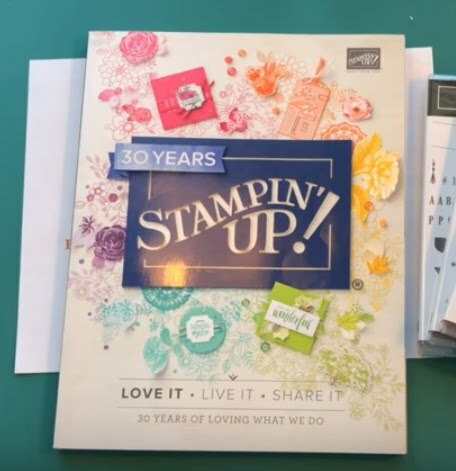 Love this stamp set and your card Diane. It's always useful to have smudges to layer on too! Diane this is such a great masculine card and the card looks great in three segments. Thank you for hopping along this week!